Mikhail Fridman, one of Russia's richest men, snapped up a German oil and gas company in a deal announced Sunday. Russians spent billions of dollars on European companies over the weekend, underlining the deep ties between Moscow and the EU. The deals came as it grew increasingly likely that Europe would issue sanctions on Russia over what it sees as Russian meddling in Ukraine. Indeed, EU foreign ministers met on Monday to agree on measures such as travel bans and asset freezes on individuals. On Sunday, Mikhail Fridman -- one of Russia's richest men -- snapped up a German oil and gas company via an investment firm established in Luxembourg last year by Alfa Group, his conglomerate of financial, retail and utility companies. In the deal, German energy group RWE (RWEOY) said it had agreed on terms to sell its Dea production unit for about $7 billion, including about $800 million in debt. "They will clarify the further details shortly in order to enter into the sale and purchase agreement," RWE said in a statement. The second deal, announced early Monday, involves Rosneft -- Russia's state-controlled oil giant -- taking a stake in Italian tire maker Pirelli. Rosneft is acquiring about 13% of Pirelli (PPAMF) by taking a 50% stake in a new holding company alongside Pirelli chairman Marco Tronchetti Provera and Italian banks UniCredit and Intesa Sanpaolo. The deal values the shares at about 12 euros each, making Rosneft's stake worth about $1 billion. Intesa Sanpaolo said the details of the deal would be "fully defined in the coming days." Russia accounts for about 4% of Pirelli's sales. 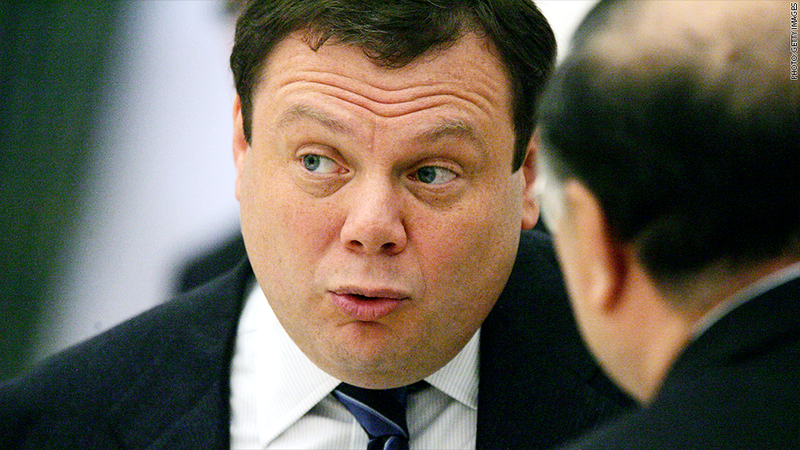 Fridman has reportedly been looking to diversify outside Russia after selling his stake in TNK-BP, which was acquired by Rosneft in late 2012. Investors in Russian assets have been hit hard this year by the rising tension with the West, which has sparked a flight of capital. Russia's MICEX index has fallen by 17% since the start of the year, and the ruble has plunged 11% to record lows against the dollar. EU leaders want to exert pressure on Moscow over Ukraine but are wary of sparking a full-blooded trade war. Russia's weakened economic state and reliance on oil and gas revenues mean it would suffer most, but Europe's recovery is still fragile and thousands of companies and investors could be hit.